Basic Truth: It's hard to protect Earth when you've been turned into a frog. 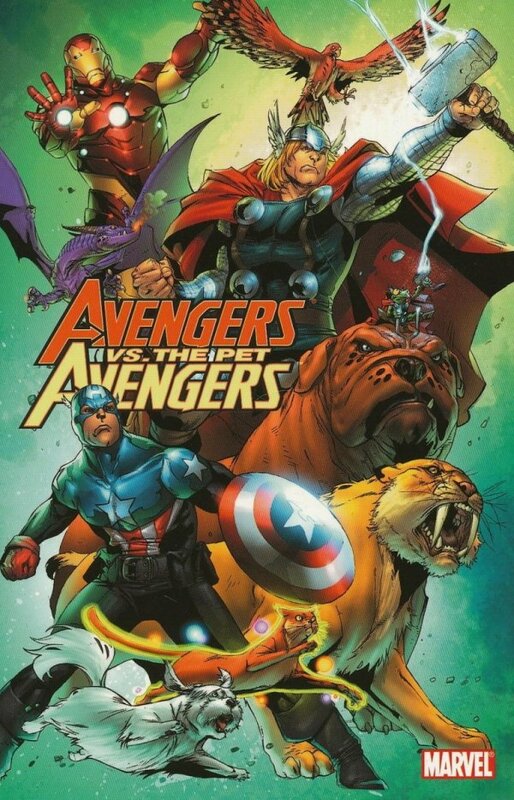 The Pet Avengers Return! Good thing, too - because dragons have decided it's time to take over the world and oppress the silly humans once and for all! And since Captain America, Iron Man and Thor are all green and hopping about, here's hoping they can get used to their new flippers in time to fight alongside Earth's Mightiest Pets! Plus: (ribbit) Time for a team-up, Spidey! (ribbit) Let's see...Iron Man's busy (ribbit), Captain America's a little under the weather (ribbit), and the FF are doing their own (ribbit) thing. Who's ready and willing to help you take on the bad guys? (ribbit) FROG THOR!! !